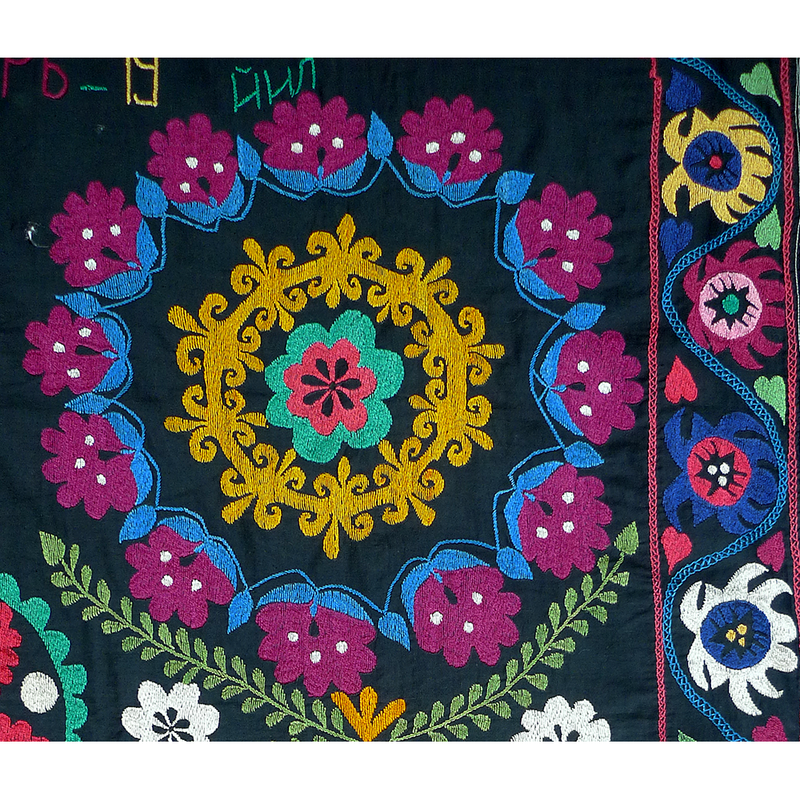 The six beautiful floral medallions are all approximately the same size – the suzani appears foreshortened in my photograph. 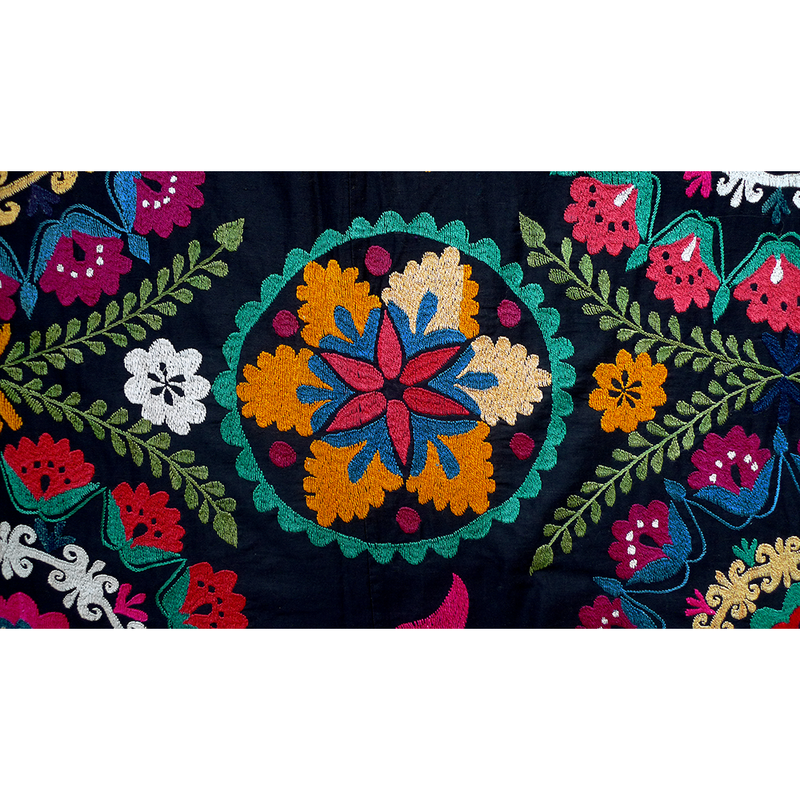 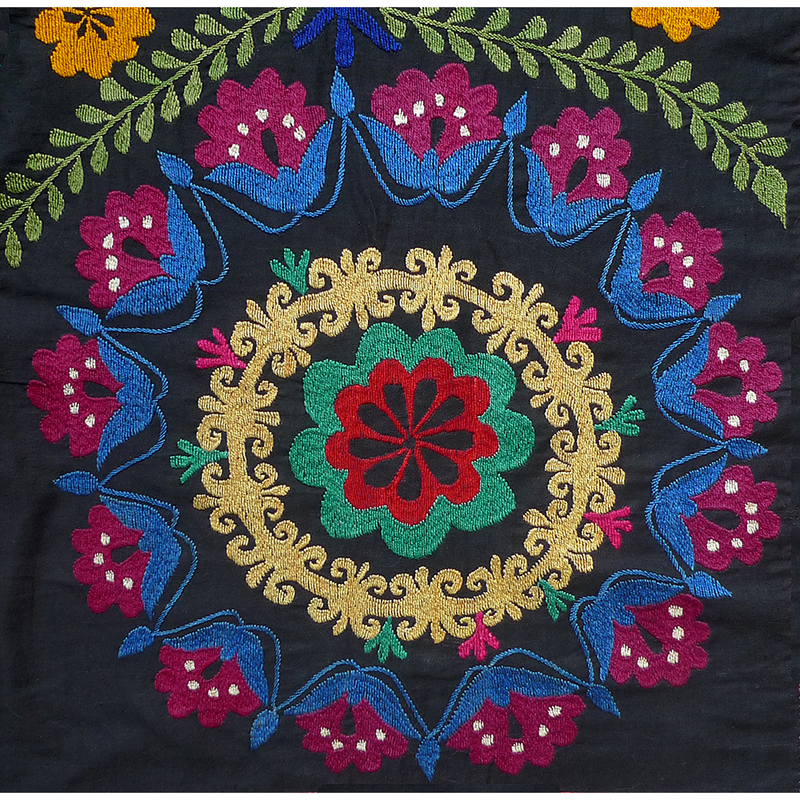 The narrow black applied border has been elaborately machine-stitched. 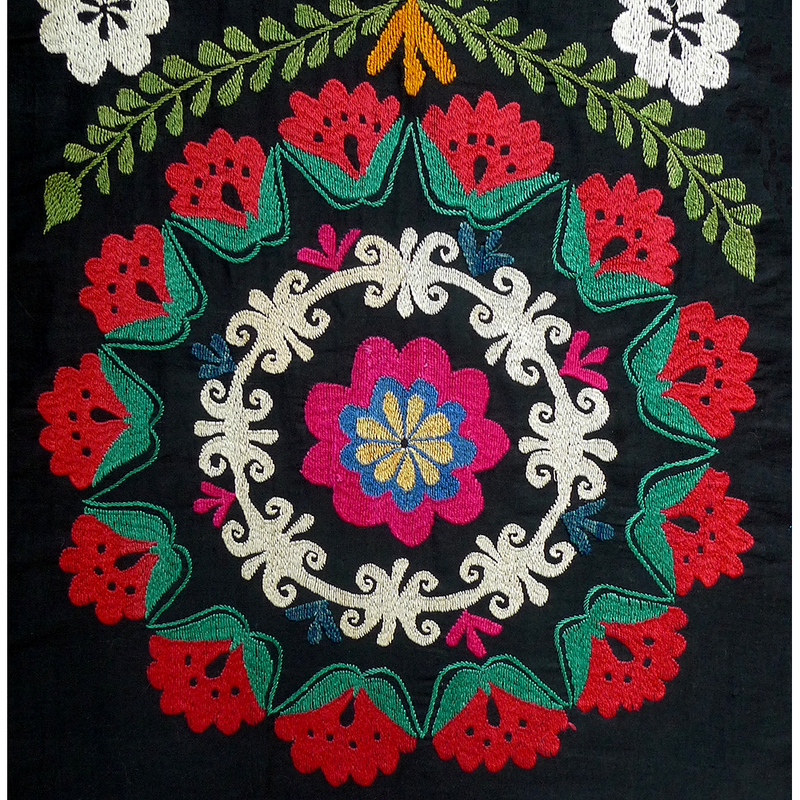 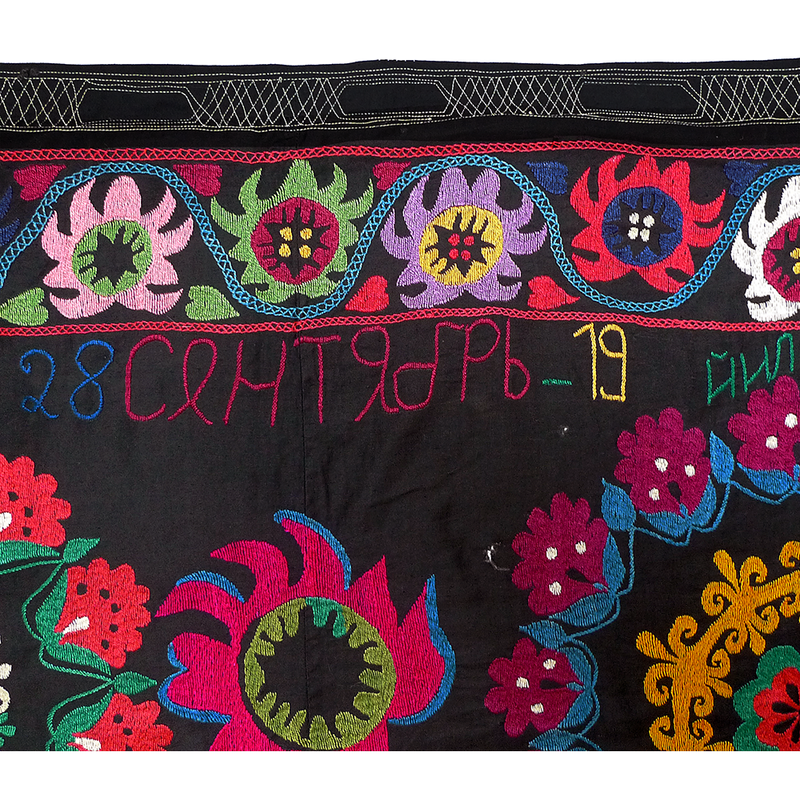 Borders like this became a popular finishing touch to suzanis from the Soviet era when sewing machines came into widespread use. 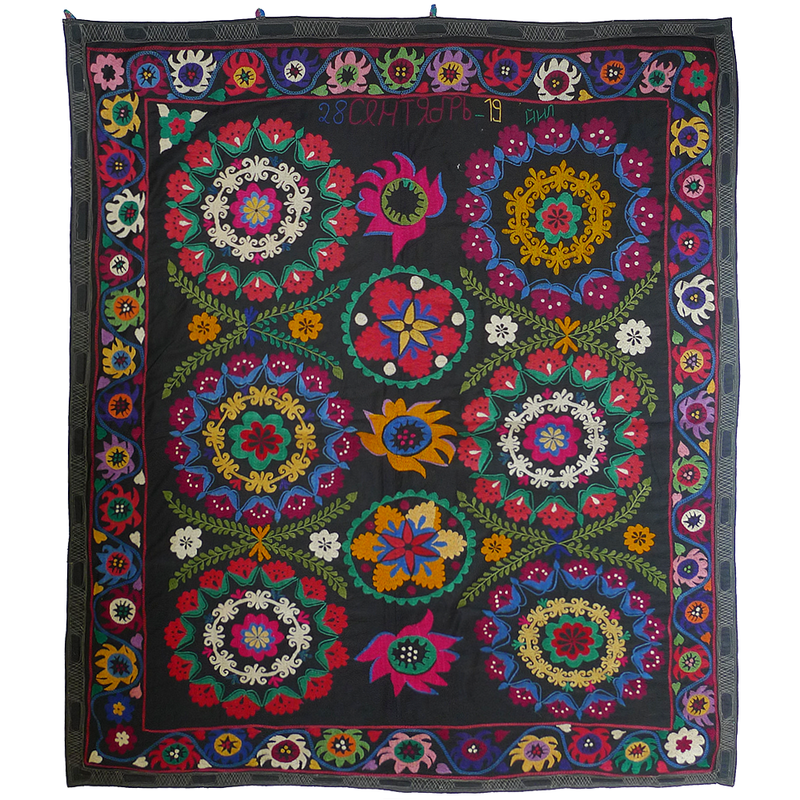 If you are interested in this suzani and would like more information please contact Susan Meller.